How can you develop your child’s speech, language and communication skills? Rhymes and Songs– Rhymes and songs are a wonderful, fun way of developing children’s speech, language and communication skills. They help introduce new vocabularly, include signs/actions to develop non-verbal communication and include repetition to help children learn words. They also encourage children to sing and talk together, developing all important social skills. Use Visual Aids– Pictures are great at helping build language and communication skills. Use pictures to help when introducing new terms and for words that children are struggling with. Key word picture placemats could be made to put on a child’s desk, children could also create their own picture dictionary for new tricky words to help learn them. Don’t underestimate the importance of gestures as well- they are also useful visual cues to children to help reinforce what you are saying. Praise and Build Confidence in Abilities – As with everything that a child is learning, genuine praise is key to building confidence and encouraging a child to continue to develop the skill. If a child mispronounces a word, instead of telling them it was wrong- repeat the word a couple of times back to them with its correct pronunciation. Help children who find it scary reading out loud or answering questions in class by staging the process- for questions you could introduce ‘Think, pair, Share’ (children spend two minutes thinking of the answer themselves, then talk to a partner to discuss the answer, then put hands up to answer). For reading out loud children could practise reading to a partner/member of staff, then in small groups. Once they are comfortable doing this gently introduce reading a small amount in front of the class. 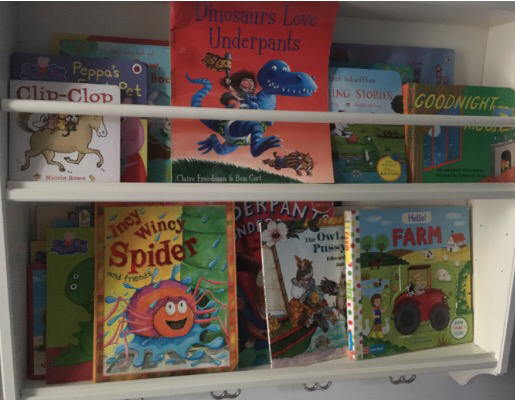 You can also help build confidence by getting other children to offer praise, once a child has read out loud ask their peers to say ‘what they liked about the way they read out’-using prompts of words such as clear, loud. Background Noise – It can be difficult for many children, including some with Speech, Language and Communication Needs, to focus on the teacher talking when there is background noise distracting them. Background noise could be the Teaching Assistant explaining something to another student or noise from the playground/other classroom. It can even be simple things that might go unnoticed to most people, such as the squeaking of children’s chairs when they wriggle or the buzz of a projector. Try to limit background noise as much as possible and make sure you are facing the children and not the whiteboard, when talking. If a child is showing signs of SLCN and/ still struggling despite whole school approaches to help support these skills, ensure that concerns are shared with parents and the schools SENCO. It may be that further investigation, assessment or referrals are needed, for example involving a Speech and Language Therapist (SALT). Very interesting will use these strategies next time I read with my 5 year old. Thanks for your post. Thank you Aleena, really kind. What fab tips! We’ve always loved reading together and my little boy’s always seem to have a book on the go. Thank you for linking up to the #itsok linky. Great post! Thank you, that’s great that they love reading- so important for so many reasons. Very useful post, this. Reading to your child is so important. Thank you for sharing this with us at #itsok. Thank you, pleased you found it useful. Yes, reading is so so important.